North Texas is becoming an esports magnet, attracting big-name investors, new stadiums, and some of video gaming’s hottest teams. Thousands of people decked out in fan gear await the “battle to the death” they’ve been promised. They’re armed with blow-up thundersticks, cell phone cameras, and poster boards championing their favorite competitors. One woman, screaming at the stage, holds up a sign referring to Alexandre “boddy” Pianaro, one of the players: “Bodyy, you can have my body!” A man shakes another sign above his head. It reads “G2 Army!” Still another fan, dressed all in black and sporting a cape, flexes his bicep to show off a team-logo tattoo. “Ladies and gentleman, it’s time for the finals, baby! How are you doin’ Dallas?” an announcer booms into the microphone, his voice thundering across the Verizon Theater in Grand Prairie, eliciting a roar from the crowd. Heroic music fills the theater, and lights flash across the crowd as two teams of five guys in black hoodies emerge from the rear. Camera crews follow the players, who high-five their fans as they make their way to the stage. The teams—one from Western Europe, the other from Denmark—settle on opposite sides of the stage separated by a bright purple, pentagon-shaped trophy set on a metal base. It’s what the competitors have trained all year to win. That—and a $225,000 purse. The Blizzard Arena in Los Angeles. With that, the announcer fires up the crowd again with a growling “Are you ready?”… and the two teams take their positions. It’s a scene that fans might expect to see at a boxing, mixed martial arts, or World Wrestling Entertainment match. But while the goal in this contest is to “kill off” the opponent, neither team will actually lay a finger on its rival. Complexity gamers celebrate a victory. 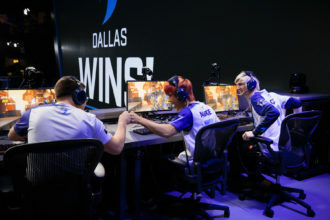 The esports phenomenon, which in its early days arguably was fueled by North Texas gaming companies, has picked up even more steam here in recent years, with world-famous teams relocating to the region, new startups servicing the emerging industry, and big-name investors like Mark Cuban, Jerry Jones, Kenneth Hersh, and Neil Leibman pouring in fresh capital. With the local teams rising to new heights, North Texas esports companies are opening training facilities, mapping out blueprints for stadiums, and turning their businesses into marketing and media machines. They’re some of the hottest teams in a worldwide competitive sport that’s predicted to gain mainstream attention over the next few years. Local esports companies include a variety of teams across various game titles, all of whom compete in leagues set up like the National Basketball Association or the National Football League. These leagues, though, are built around specific video game titles like Counter-Strike, League of Legends, and Overwatch, some of the most popular games in esports. Each team typically employs a handful of people and boasts a support and marketing system including folks like coaches, operations personnel, and broadcasting staff. North Texas, there’s no doubt, is rapidly becoming an esports hub. Though video games trace back more than half a century, competitive gaming as a business model is a relatively new development. Perhaps that’s because the child gamers of the pioneering first-person shooter games, some of which were developed in Dallas by id Software, have grown up and turned their once passionate hobby into a money-making endeavor. It could also be because game developers have continuously pushed out blockbuster online competitive games. Or maybe it’s because investors and corporations started recognizing the grassroots phenomenon as a smart business decision. More than likely, it’s a combination of all of these things. Jason Lake stands inside Complexity’s training facility, which is under construction at The Star. One thing’s for sure: esports is proving to be lucrative. Local esports players are earning upwards of six figures in salary, receiving full benefits packages, and competing for purses worth up to $1 million. Meanwhile, the companies that employ them are fueled by millions of dollars in corporate sponsorships, a percentage of team winnings, and millions of dollars in investment cash, which is helping to offset rising player salaries. Before the money started pouring in, though, the pioneers of the industry weathered some rough times. 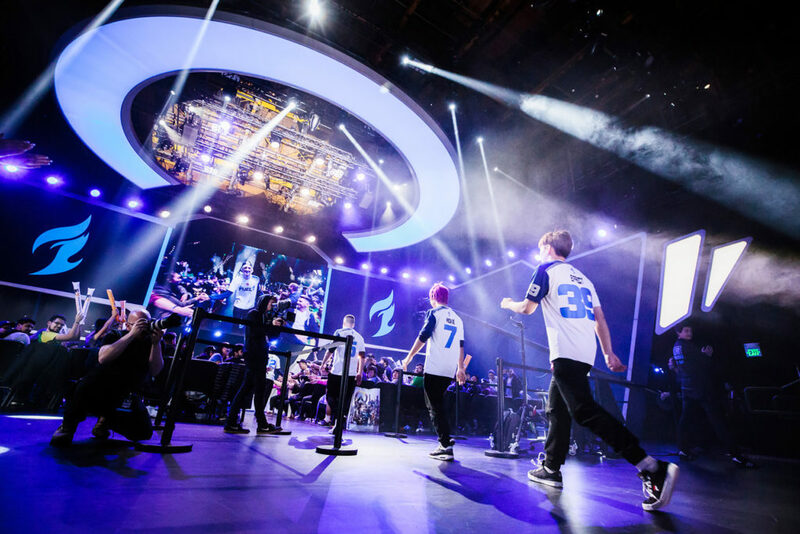 Mike Rufail, CEO of the Dallas Fuel and Team Envy—esports teams that play across various game titles—spent his post-college days in North Carolina gaming purely for fun while staying home and saving money. But then his childhood hobby led him to competitive gaming in 2008. Back then, Rufail was not raking in big money. Rather, he’d train year-round for the chance to take home $2,000, he says. But it was a passion. So much so that it drove him to seek out the most competitive team he could find. 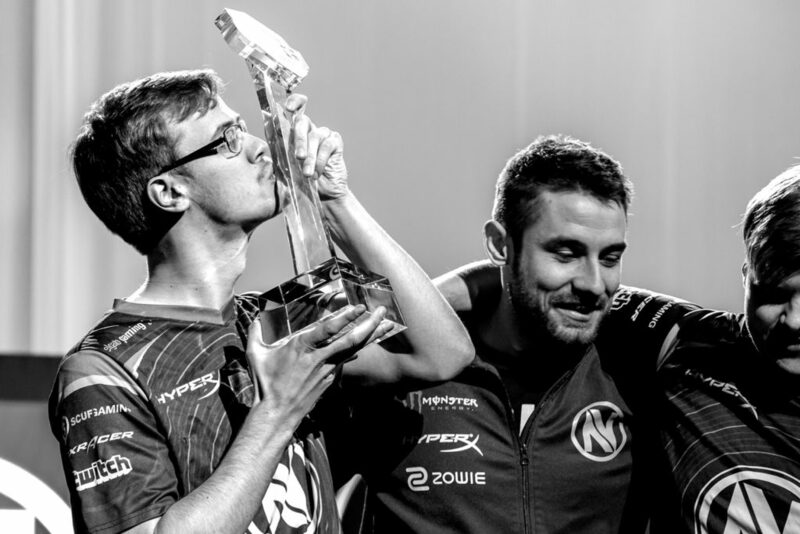 The members of that team, Team Envy, were living in a house in Minnesota, practicing together, competing together, and winning together. Rufail had a little money saved from working in the commercial film industry, and Team Envy wasn’t “the best at paying all of [its] bills,” Rufail says. So he offered to finance a house in North Carolina, if the team would move to him. They agreed. Soon the five players, all in their 20s, were shacked up in a sparsely furnished home, their mattresses sprawled across the bedroom floors. Their mornings started late, and 10 to 14 hours of their days were spent in the attic, where they kept their most prized possessions. Although the team had corporate sponsorships, it was barely scraping by. It didn’t help that the team was led by a bunch of young guys who didn’t know much about business. “Sometimes we didn’t have money to cover a bill because we were waiting on a sponsorship check and didn’t know how to handle invoicing,” Rufail says. 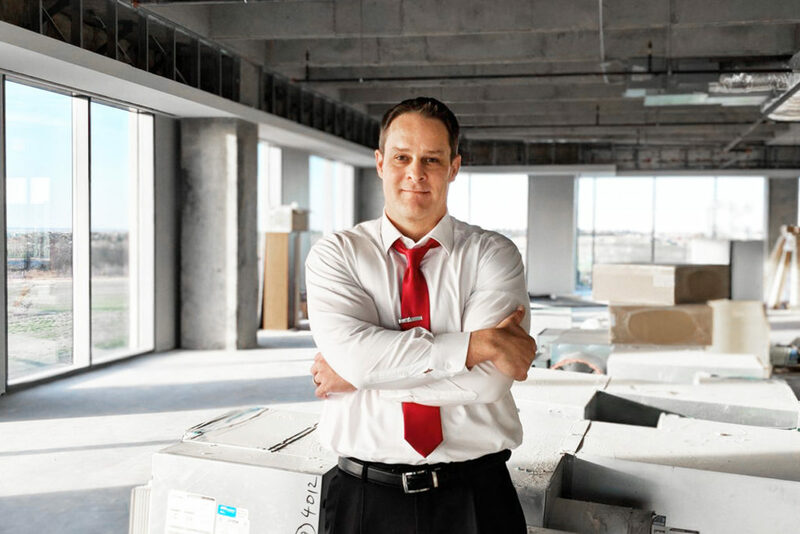 In the early days, he ran the company through his personal banking account. “Our power would get cut off on a Friday, and we couldn’t play in the tournament,” Rufail recalls. But gaming didn’t die, and neither did the gamers who wanted to see esports become a viable industry. Fast-forward 10 years, and esports companies have quickly created their own lucrative industry. The industry generated more than $655 million in global revenue in 2017, according to the 2018 Global Esports Market Report published by esports market intelligence provider Newzoo. That figure is expected to grow to $906 million in 2018 and $1.65 billion by 2021, according to the report. Team Envy wins Overwatch Contenders championship. Revenue for esports is driven mostly by sponsorships, with advertising, media rights, game publisher fees, and merchandise and tickets also contributing. The global audience is increasing along with the revenue, with 335 million viewers streaming esports last year, representing a nearly 20 percent increase from 2016, the Newzoo report says. Esports fan interest has grown so much that viewership for some of the most popular tournaments rivals that of Game 7 of the World Series. 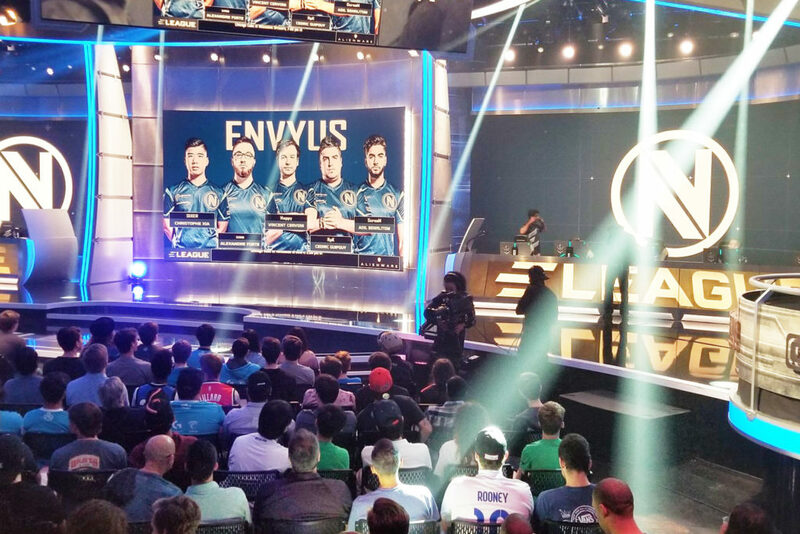 Team Envy prepares for battle at CS:GO tournament. 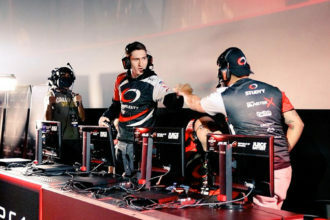 Complexity announced that it would base its operations in Frisco in 2017, after Jones and Goff took a majority stake in the company. It occupies temporary office space while its 40,000-square-foot training facility and headquarters is constructed at Jones’ The Star in Frisco, where the players will have access to the amenities enjoyed by the Dallas Cowboys. The headquarters is expected to be one of the largest training facilities in esports, Lake says. Kenneth Hersh settles in for a Team Envy watch party in Plano. 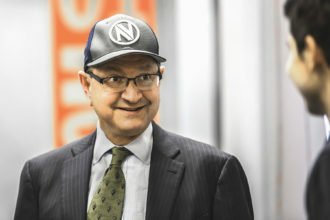 Meantime, Ken Hersh—who’s made a name in Dallas by running a successful private equity firm and serving as president and CEO of the George W. Bush Presidential Center—linked up with Rufail to compete for the purchase of Overwatch League’s Dallas Fuel franchise. Hersh reportedly invested $35 million in the Dallas Fuel, and the team opened its headquarters next to the American Airlines Center at Victory Park last November. Rufail says he’s now talking with the city of Dallas about the possibility of building a Dallas Fuel esports stadium, per the league’s goal that all of its franchises have hometown venues. Leibman teamed up with entrepreneur Chris Chaney to acquire a majority stake in OpTic Gaming, committing to invest $10 million over time and moving the team from Chicago to Frisco. They also formed Infinite Esports & Entertainment, a holding company that comprises complementary divisions like NGAGE, its broadcast and events management company; GG Esports Academy, dedicated to developing esports players; Esports Venues LLC, which will focus on the physical spaces; and No Scope Media, a production and creative studio. It was Infinite that recently cut a deal with the city of Arlington to develop a 100,000-square-foot esports stadium at the Arlington Convention Center, with help from a $10 million investment from Esports Venues LLC. NGAGE will manage the facility. It should come as no surprise that Dallas Mavericks owner and technology entrepreneur Mark Cuban is also jumping into the esports game. The Mavericks are one of 17 NBA teams that will participate in the inaugural year of the NBA 2K League, which will host tournaments for the game NBA 2K. Each team made a “significant” investment to be a part of the league, Cuban says. He says details on how Mavs Gaming will operate and what divisions it might include are still being finalized. Mavs Gaming is building its own 12,000-square-foot facility in Deep Ellum that will serve as its headquarters and be a venue to host tournaments, broadcasts, and other events. The venue is expected to become operational in Spring. North Texas esports investors, most of whom already have major investments in traditional sports, say the decision to back the new gaming businesses wasn’t hard. Hersh says he was surprised to discover how much esports players, just like traditional athletes, had to dedicate themselves to building their skills in order to become professionals. And now a growing ecosystem around them included fans and other gamers who were looking to the pros to learn new gaming techniques. As esports have gained credibility and popularity, major corporations have taken notice, upping their sponsorships and attracting others. Plano-based Dr Pepper/Snapple Group and Toyota Motor North America are two local companies that have entered the arena. Dr Pepper sponsors a team in California, and Toyota sponsors the Overwatch League. Other companies like Stride Gum, Hot Pockets, and Red Bull have sponsored live events. Dallas Fuel celebrates a victory at the Blizzard Arena in Los Angeles. 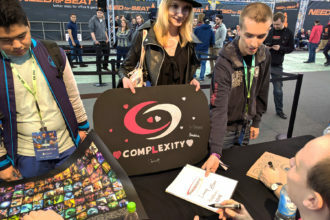 ; Complexity fans get the autographs of some of their favorite players.